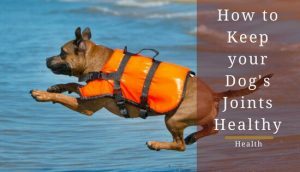 Being a concerned staffy owner, you’re always wondering about how you can keep them in good health. Often, dog owners will investigate certain supplements to promote better health in their pup. 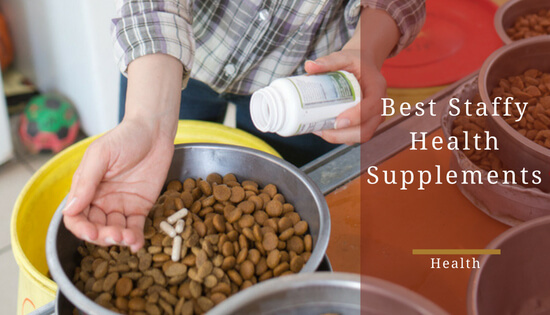 As with humans, there are a lot of health supplements on the market that promise to give your dog incredible health benefits and it can be quite hard to decide which are most worthwhile. Unfortunately, the staggering number of supplements available is overwhelming, and some are even fraudulent in their claims. After spending hours searching and trying out different supplements, I feel like I have built a good enough understanding of what works to write this guide. For general health, I thought it would be best to look into supplements that would help combat conditions that staffies can be prone to. 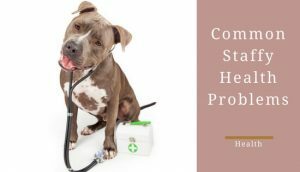 This article will act as your guide for finding the best dog supplements for these more common staffy health issues. 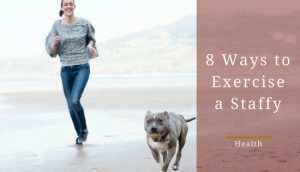 How Much Glucosamine for Staffies? How Much Fish Oil for Staffies? How Much Probiotic is the Right Amount? Staffies are prone to a joint issue called hip dysplasia: a condition where the hip joints don’t develop normally. As this issue gets worse, it eventually turns into arthritis. Just like with humans, arthritis is an absolute nightmare for dogs. 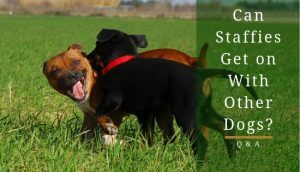 This is especially true for breeds like staffies because they’re extremely active. Thankfully, there are some measures you can take to keep your dog’s joints healthy. 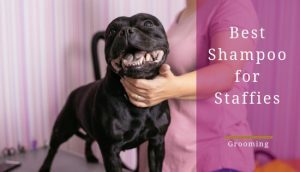 One of which is the use of joint supplements that are designed to help your staffy prevent and deal with joint issues such as hip dysplasia or arthritis. Glucosamine-based supplements are wildly popular for both dogs and humans. Glucosamine is a naturally occurring substance in your dog’s body that’s found in considerable amounts inside healthy cartilage. Mitigates pain and joint wear and tear in hip dysplasia and other structural problems. Most dog owners get a little scared when adding pills or supplements to their dog's food. It’s very stressful part of being a dog owner. To help ease some of your stress, I’m going to tell you the right amount for your staffy. It’s 500mg per 25 pounds or 11kg, which is right around the average weight of a staffy. 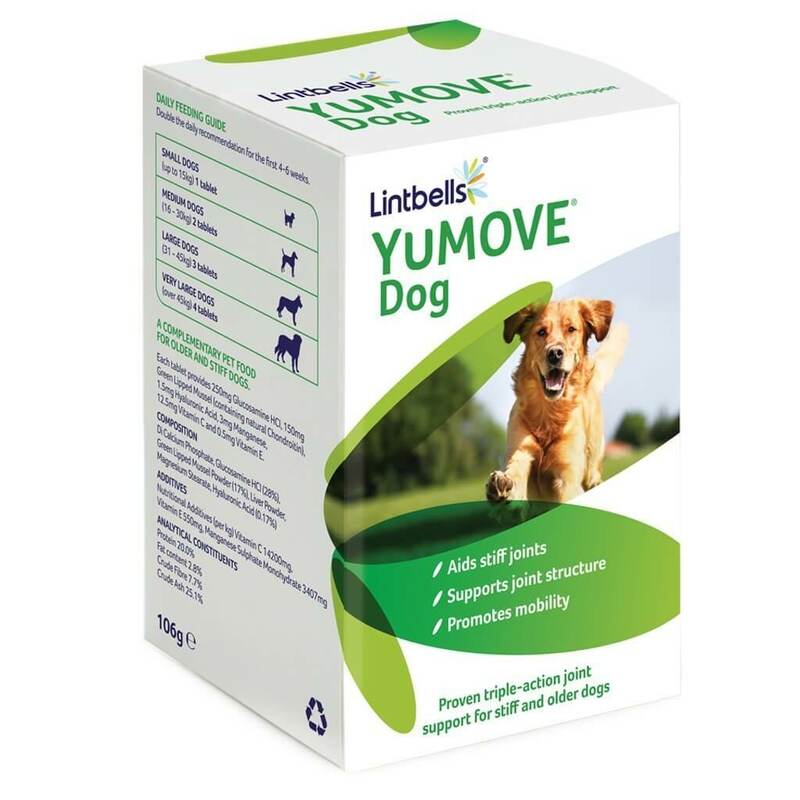 If the amount of glucosamine products on the market is overwhelming you, Lintbells Yumove is a great choice and is seriously well-reviewed on Amazon. It’s a proven and affordable option, which contains a good amount of glucosamine as well as some other helpful vitamins and minerals for all dog owners looking to improve their dog’s joint health. Any dog can have issues with their fur depending on their environment. Even with their short hair, staffies are no different. A condition like mange can ravage your staffy’s fur and is incredibly painful/irritating for them. Patchy fur and bald spots will manifest themselves throughout your staffy’s coat. Honestly, it’s awful to witness. Fortunately, a little thing called coconut oil exists to keep your staffy’s coat in the best condition possible and prevent mange from being a factor in your staffy’s life. It can even help bring it back from the clutches of mange’s diseased-filled hands. Coconut oil is edible oil harvested from the coconut palm. It consists of more than 90% saturated fats; therefore, your staffy should consume coconut oil in limited amounts. In addition, its high in middle-chain triglycerides. Both these fats and triglycerides are behind the health benefits coconut oil provides both humans and dogs. 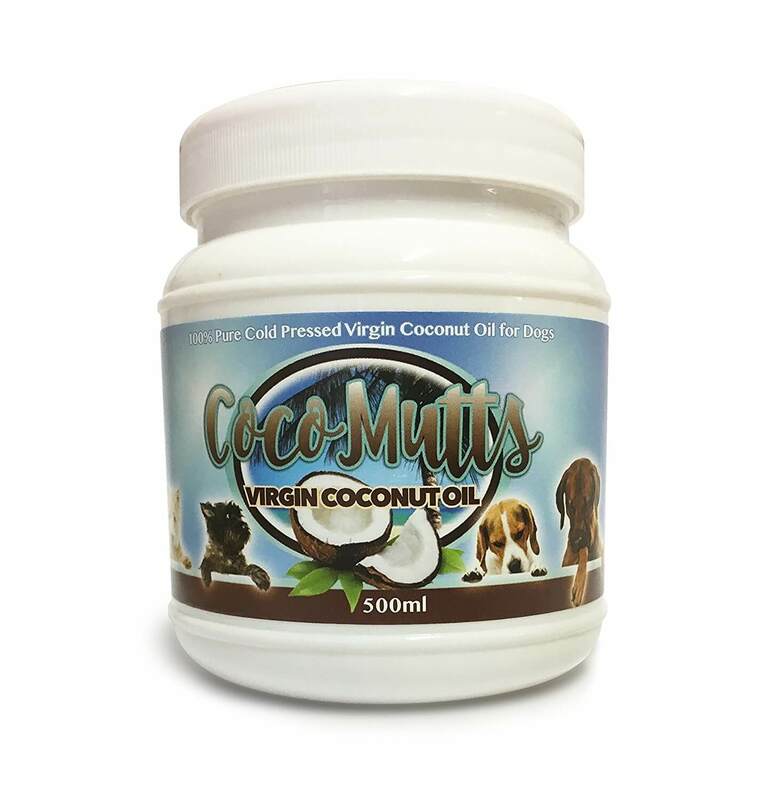 CocoMutts Virgin Coconut Oil for Dogs and Cats is an affordable and great way to improve your staffy’s coat and overall health. It’s a must-have product for any dog owner. Honestly, this coconut oil will improve your staffy’s life by a considerable margin. As with many dogs, some staffies will suffer from dry and itchy skin. Unfortunately, it’s a very common nuisance through the dog community. Making matters worse, it’s quite difficult to find the exact underlying issue causing this reaction in your staffy. The reaction can come from a number of things; food allergies, allergies, fleas, ticks, mites, and skin infections are just a few of things that could be the issue. 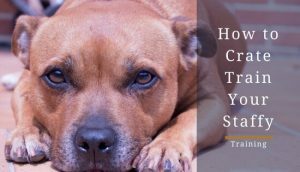 In fact, it could even be more than one thing that’s making your staffy’s skin itch. Thankfully, fish oil products can help reduce the risk of your staffy’s skin from becoming itchy and dry. Some studies have shown fish oil reduces the growth of cancer. As mentioned before, reduces itchy and dry skin. In general, give your staffy 1,000 mg fish oil containing 300 mg of EPA/DHA combined per 30 pounds or 13kg. 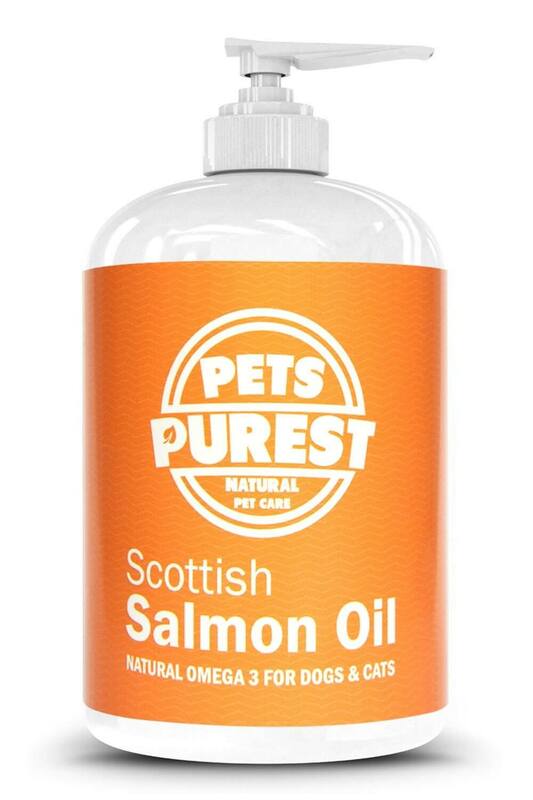 A good fish oil product for your staffy is 100% Pure, Natural Scottish Salmon Oil. The company even offers a guarantee of results in 30 days or you get your money back. If your staffy does have digestion issues, it can be worrying but it happens to many dogs at some point in their lives. It might present itself in the form of loose stool or vomit. Fortunately, supplements like probiotics are available to help your dog through these digestion issues. Be sure you don’t give human probiotics to dogs; it could just create more issues. 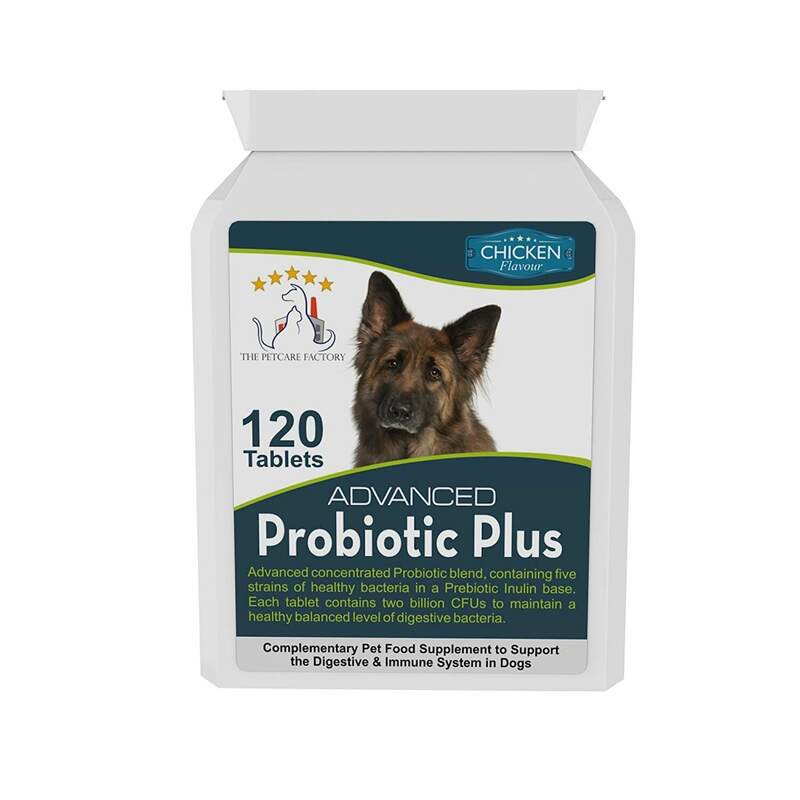 Get a probiotic made specifically for dogs. Probiotics are live microorganisms that, in small doses, can benefit your staffy’s health. These microorganisms via supplements can come as pills, pastes, powders, or solutions. 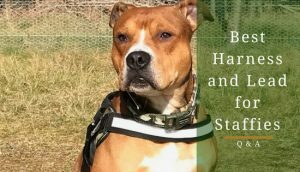 Each probiotic supplement has one or more types of yeast and/or bacteria that can give your staffy better health through a number of functions: all about helping your staffy’s digestion. Additionally, probiotics produce short-chain fatty acids that prevent the growth of harmful bacteria. As well as fighting against the growth of harmful bacteria, probiotics can have a number of benefits for your staffy’s health. In general, it varies from product to product. 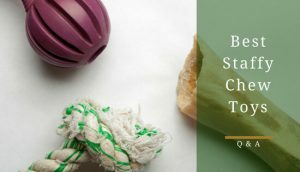 You’ll need to read the information on the product or consult a vet (which you should be doing if your dog is running into digestion issues, anyway). Administrating a daily probiotic supplement can improve your dog’s coat, improved breath, and helps regulate bowel movements. A good choice for a probiotic product is Advanced Probiotic Plus. It will help treat your staffy’s digestion issues and all the things that come with them. In addition, it contains a prebiotic that will act, as a food source, for the bacteria fixing your staffy’s digestive issues. How Much Probiotic for Staffies? It should go without saying that any issue you see with your dog should be referred to a vet before trying supplements. You should also seek the advice of a registered veterinary professional before included any supplementation in your dog's diet. The info here is just advice from my personal research and experiences. Of course, each dog is different so your results with the supplements mentioned might vary. Although, all the supplements listed are considered very safe, it is always wise to check with your vet beforehand.